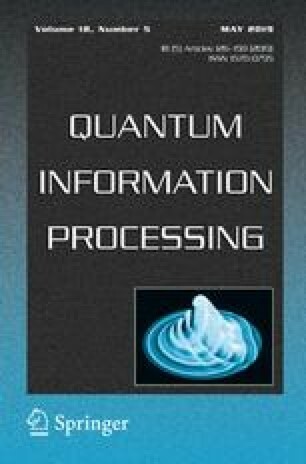 Quantum walks can be applied for some quantum information processing tasks such as quantum search, element distinctness, state transfer and teleportation. In this paper, we present an arbitrated quantum signature scheme with quantum walk-based teleportation. The teleportation is used for the transmission of message copy from the signer Alice to the verifier Bob. The necessary entangled states for teleportation do not need to be prepared in advance in the initial phase and can be produced naturally via quantum walk in the signature phase. Furthermore, to resist against Bob’s existential forgery for Alice’s signature under known message attack in the previous arbitrated quantum signature proposals, we employ a random number and a public board in the verification phase. Security analyses show the suggested scheme is with impossibility of disavowal of Alice and Bob, impossibility of forgery of anyone. Discussions indicate that the scheme may not prevent the disavowal of Alice and we advance the potential improvements on it. Note that the proposed arbitrated quantum signature scheme may be feasible because quantum walks prove to be implemented in different physical systems and experiments. This work was supported by the National Natural Science Foundation of China (Grant Nos. 61871407, 61572529, 61872390), the Fundamental Research Funds for the Central Universities of Central South University (No. 2018zzts179), and the Natural Science Foundation of Hunan Province (2017JJ3415).